Paleontologist discovered a new species of dinosaur in Australia. The scientists depicts that the dinosaur will have wide-hip, long-neck, four legs, about half the length of the basketball court, and it's shoulders stand as high as hoop. It is a plant eating dinosaur. Fossils found in Australia are exceedingly rare. This new species is named as Savannasaurus Elliotorum after the Elliot family and green grassy region where they the found it. David Elliot stumbled over these fossil in 2005 while he was herding sheep in the northern Australian town of Wilton. First he thought it was fossils of limb bones, then his wife Judy Elliot fit those pieces together which makes them realize that it was a massive toe of a big plant eating dinosaur. Rest of the fossils helps them to discover that it belongs to a entirely new species of vegetarian dinosaurs called Sauropods. David Elliot is the chairman of the Australian Age of Dinosaurs Museum now. After 10 years, team work of scientists led by Stephen Poropat officially announced his discovery about the new species Savannasaurus Elliottorum. The skeleton of Savannasaurus Elliottorum is one of the most complete Sauropods discovered in Australia. Poropat say that the dinosaur height is probably about 50 feet long with a long neck and a wide round body with an approximate weight of 40,000 pounds as much as the weight of 3 African elephants. They haven't found any fossil teeth to find what the dinosaur ate. But the dinosaur grow to that size on a low-quality diet. 95 million to 98 million years ago, Savannasaurus Elliotorum lived in Australia with other two Titanosaurs. No-one knows how these dinosaurs spread to Australia. During that period Australia was connected with South America by Antarctica. 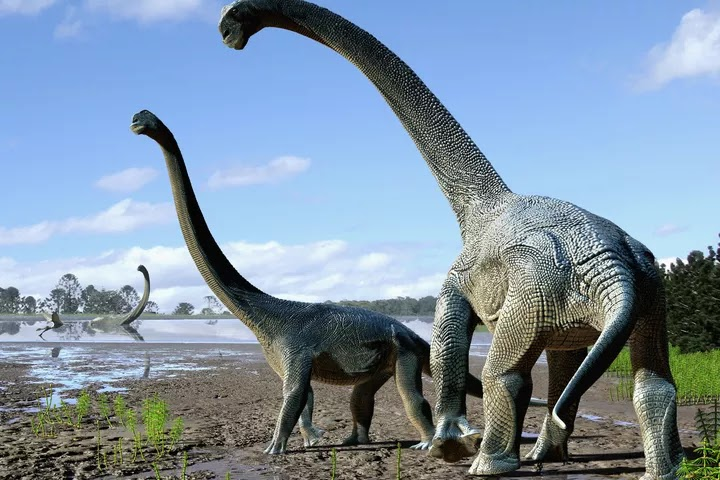 They have never found a Sauropod fossils more than 105 years old, the scientist that it may have traveled from South America through Antarctic during a warm period. There is a possibility in the presence of the Sauropods, but their bones didn't survive long enough to be discovered. "Anytime you put a name on a dinosaur it’s a hypothesis and it’s one that’s going to be tested and tested in the future, and we are hoping of course that Savannasaurus will stand the test of time," Poropat says.